Aged care stakeholders have welcomed the appointment of Christian Porter as the Minister for Social Services, who will have responsibility at Cabinet level for aged care. As was widely tipped last week, Senator Mitch Fifield was promoted from his position of Assistant Minister for Social Services to Minister for Communications. As assistant minister Senator Fifield had day-to-day responsibility for aged care since the Coalition won office in September 2013. Leading Age Services Australia CEO Patrick Reid said the primary issue for providers and services was around sovereign risk and industry would be looking to government to provide funding and policy stability and certainty. “The industry needs to start to build the beds, the home care services and the retirement villages in order to meet demand,” he told Australian Ageing Agenda. Mr Reid said he was concerned that the government seemed to believe that all the answers to workforce issues came from within the sector. While industry certainly had a role to play, government was “the primary funder and the primary producer of policy and regulation. We need government involved and committed to that process to make sure we have the right policy setting, the right funding structures and skills,” he said. Similarly, the CEO of Aged and Community Services Australia John Kelly said that government recently appeared to be suggesting that workforce was primarily a concern for providers. “Government needs to take the leadership in assisting with setting the policy in the workforce area. Workforce involves a whole lot of different areas – whether it’s migration, expenditure on training, difficulties in attracting workers in regional areas – and is just too big to expect individual providers to deal with,” he said. He also nominated the viability of aged services in regional, rural and remote areas as a key concern his peak would be raising with the new minister. “The general reaction of government has been to band aid on some supplement, but we’ve been trying to convince them we need a new paradigm, both in terms of care and funding, in respect of regional, rural and remote,” he said. Adjunct Professor Kelly also said that the implications of the increasing acuity of people entering residential aged care, as a result of expanded home care, had not been fully considered and required further discussion with government in terms of the cost and types of support needed, particularly in palliative care. While it welcomed the cabinet reshuffle, the Australian Nursing and Midwifery Federation (ANMF) also singled out workforce as among the unfinished work in aged care requiring government attention. “What we desperately need now is an aged care strategy that encompasses workforce, as we know we are facing a significant shortfall of nurses in the aged care sector over coming years. In fact, it has started already,” said federal secretary Lee Thomas. 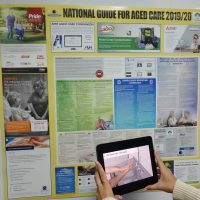 It was “absolutely critical” the Federal Government, along with industry stakeholders, brought to fruition a strategy to address the workforce dilemma and other important issues in the aged care sector, Ms Thomas said. Council on the Ageing (COTA) Australia chief executive Ian Yates said he looked forward to working closely with Mr Porter and expected him to continue the work initiated by Senator Fifield. “The choice and control measures announced in the last Budget and the aged care roadmap now in development set the directions for the future and should be implemented seamlessly despite the change of minister,” Mr Yates told AAA. “Beyond aged care we will be urging Minister Porter to focus on measures to address the housing needs of older Australians, something on which Minister Morrison was starting to focus, and to revisit the need for a holistic retirement incomes review, for which COTA has been calling for over a year and which was endorsed by the National Reform Summit. We will also be pursuing this with new Treasurer Scott Morrison. A retirement incomes review needs to include financing of aged care in the decades ahead,” he said. 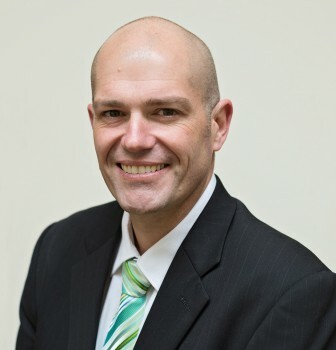 Western Australian providers said they were excited to have an MP from their state as the new minister for the sector. “We dealt with Mr Porter on red tape reduction and he was great to work with. We’re looking forward to having a great minister on the ground to help us achieve much-needed outcomes for WA aged care providers, and our colleagues around the country,” Ms Cameron told AAA. Similarly, Aged and Community Services WA chief executive officer Trevor Lovelle said that Mr Porter would bring a breadth of experience to the portfolio, which would prove invaluable given the issues ahead for the state’s aged care sector. 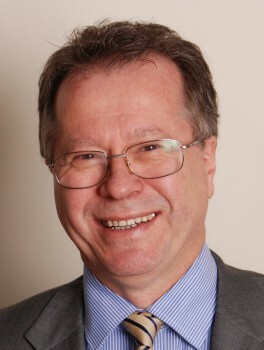 “The reality is that huge challenges exist in ensuring equity is maintained for the WA aged care sector as the Living Longer Living Better reform package is rolled out,” Mr Lovelle said. Elsewhere, Palliative Care Australia (PCA) said it welcomed the “expanded” health portfolio, with two ministers and an assistant minister appointed. The health needs of rural Australians would be in good hands with Fiona Nash as Minister for Rural Health, who had worked closely with PCA where she provided leadership in the area of palliative and end-of-life care, said Ms Callaghan. The appointment of an additional assistant minister, Ken Wyatt, would give health a much needed focus and result in better health outcomes, she said.